Max Talbot and Bruno Gervais’s friendship far exceeds the years they’ve spent in the National Hockey League. 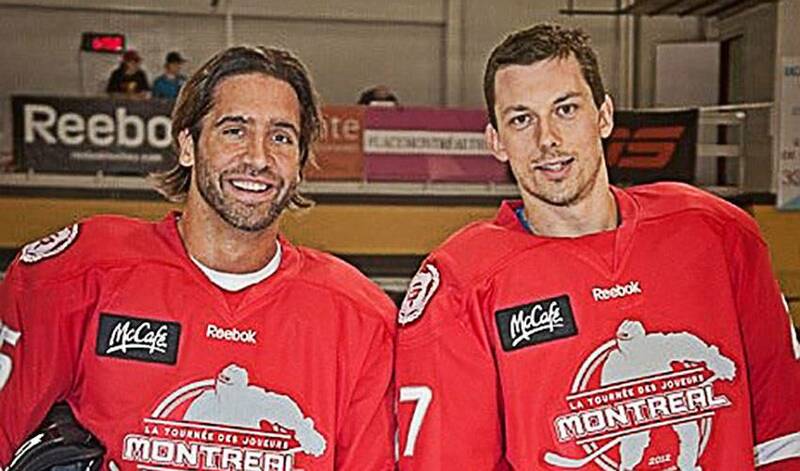 The two met playing local minor hockey in Quebec when they were about 11. Their parents quickly became friends, as they always traveled together for tournaments. When the pair broke into the league within a few years of each other, they recognized how unusual and extremely fortunate their lives had become. “It’s such a slim chance. So many stars have to align for two best friends to make it into the league together,” explains Gervais. It didn’t take the two long to reflect on their upbringing, and how lucky they were to have the opportunities they did. They formed the Fondation Gervais-Talbot in 2007 to help children who aren’t as fortunate have the same opportunities that they had growing up. “It’s important to us that all kids get the same chance. It shouldn’t matter if they don’t have a lot of money or if they are sick. We try to help them succeed no matter what,” said Gervais. To date, their foundation has raised over $350,000 for various children’s charities including the Fondation les Petits Trésors and the Canadian Tire Jumpstart Foundation. When the NHL announced this season’s lockout, Talbot and Gervais weren’t going to let it keep them off the ice and away from fans. Instead, they decided to take some inspiration from former player Joel Bouchard, who staged several charity games during the 2004-05 lockout, and organize La tournée des joueurs (The Players’ Tour). The tour allowed Talbot and Gervais to play the game they are so passionate about, reconnect with fans in their hometowns, and raise money for a cause they truly believe in. The friendly exhibition series ran for nine games over the Fall and offered hockey fans in Quebec the chance to watch NHL-caliber hockey despite cancelled regular season games. Many of Talbot and Gervais’ fellow players joined the tour including Marc-Andre Fleury, Colby Armstrong, Alex Burrows, Mathieu Darche, and Brian Gionta. In total about 30 players were involved. “The tour had a lot of great special moments. In Sorel, Marc-Andre Fleury and Francois Beauchemin’s hometowns, they got standing ovations from the crowd. It was great for us to get back where we started and re-connect with our minor hockey communities. That meant a lot to us,” explained Max Talbot. It meant a lot to every one of the 30 plus players who took part. Every one of them game it their all on the ice, but also arrived early and stayed late to sign autographs and take photos with fans. The tour helped both players and fans to share their love for the game despite the owner’s lockout. In a small way, they took back the game for their fans. In addition to connecting fans with the game, The Players’ Tour allowed Talbot and Gervais to raise over $402,000 for children’s charities. Talbot and Gervais are extremely proud of that number, and are sure it will go a long way in helping the children of Quebec to succeed.